In Ellsworth, the Tigers and all the Penobscot Valley Conference teams plus Belfast and Fort Kent all faced off against each other for the regional finals. Caleb Weeks, and Gage Stone placed first. Eric Bennett, Justin Wing, Isaiah Hesseltine, Nathan Schobel and Augustus Irwin placed in second. Trent Scott finished third for the Tigers. All of these wrestlers will represent Dexter in the State finals which will be held in Lincoln on Saturday the 16th at 9 AM. On Saturday, the Tigers traveled to Guilford for PVC’s against Ellsworth, Dover, PVHS, Bucksport, Dexter, MA, Caribou, Calais, John Bapts, Bangor Christian. WA, Lee Academy, MDI. On Saturday, January 26 the Tigers traveled to Skowhegan to go against MA, Madison, MCI, Skowhegan, Medomak, and Oxford Hills. The Tigers came in second place. Gage Stone and Justin Wing both came in first, and Caleb Weeks placed second. Dexter Tigers traveled to Howland yesterday evening, Dexter, Caribou, Foxcroft, Penobscot Valley, and Calais were all at the meet yesterday. Caleb Weeks, Justin Wing, Anthony Woods, and Augustus Irwin won all three matches. The Dexter Tigers traveled to Skowhegan to participate in a 27 team tournament, the Tigers were undefeated going into the meet and they lost to Cony for their first loss of the season. Caleb Weeks placed second, Gage Stone placed third, Justin Wing placed second, Eric Bennett placed third. On January 5th, The Tigers went to Nokomis Regional High School to play against Deering High School, Dirigo High School, Foxcroft Academy, Madison Area Memorial High School, Maine Central Institute, Monmouth Academy, Mount View High School, Mt. Blue High School, Nokomis Regional High, Oxford Hills Comprehensive High School, Skowhegan Area High School, and Westbrook/Gorham. The Tigers played against Skowhegan, Mt. Blue, and Oxford Hills. Caleb Weeks, Gage Stone, and Justin Wing all came in first place on Saturday. The Dexter Tigers will go Foxcroft Academy Wednesday, January 9th. On Dexter January 2, MDI, Bucksport, Foxcroft Academy, PCHS, PVHS, Mattanawcook Academy, and Ellsworth traveled to Dexter. The Dexter Tigers faced off against Bucksport, MDI, and PCHS. The Tigers beat the three teams they went against to improve to 11-0. Caleb Weeks and Gage Stone placed first. A big congratulations to Isaiah Hesseltine for achieving his 100th win. The Dexter Tigers will travel to Nokomis Saturday, January 5th for there next meet. On December 27, Dexter went to Penobscot Valley High School to face off against Calais High School, Caribou High School, Fort Kent Community High School, Mount Desert Island High School, Penobscot Valley High School, Piscataquis Community High School, Washington Academy. The Dexter Tigers will go on and win the meet to remain undefeated and will become the first place team. 12 out of 13 wrestlers for Dexter all went to the finals. Gage Stone, Caleb Weeks, Justin Wing, and Augustus Irwin all placed first. The next meet for Dexter will be held January 2, 2019, at Dexter Regional High School. On December 22, the Dexter Tigers traveled to Caribou to go up against Bucksport High School, Calais High School, Caribou High School, Ellsworth High School, Fort Kent Community High School, Foxcroft Academy, Mattanawcook Academy, Mount Desert Island High School, Penobscot Valley High School, Piscataquis Community High School, Washington Academy. Next meet will be Thursday December 27, at Penobscot Valley High School. On Wednesday evening, The Dexter Tigers traveled to Guilford, to face off against Guilford, Ellsworth, and Dover. The Dexter Tigers came out strong and beat all the teams they faced. Gage Stone won all three of his matches, Caleb Weeks also won all three of his matches to meet a career milestone of 100 wins. The Dexter Tigers team record will now improve to 10-0 on the season. Dexter will travel to Caribou this Saturday on December 22. On Saturday, December 15, the Dexter Tigers traveled to PVHS for an individual tournament to face off against PVHS, Guilford, Calais, Caribou, MA, MDI. For the Dexter Tigers Caleb Weeks, Gage Stone, Isaiah Hesseltine, and Justin Wing all placed first. The Dexter Tigers will travel to Guilford on December 19, to face off with Guilford, Dover, and Ellsworth. On Wednesday, December 12, 2018, the Dexter Tigers went to visit the Mattanawcook Lynx and also faced off against Guilford, Caribou, MDI, and PVHS. The Dexter Tigers won all five head to head matches. To end up winning the meet on Wednesday afternoon. Caleb Weeks had three pins in three matches and Gage Stone had four pins in matches. To improve their record to 6-0. The Dexter Tigers next meet is this Saturday at PVHS. At Bucksport, Saturday December 8, the Dexter Tigers faced off against MA, Bucksport, WA, FA, Calais, Guilford, and Caribou. The Dexter Tigers scored a total of 176 points to go on and win the tournament. The Dexter Tigers, Caleb Weeks, Gage Stone placed first. Isaiah Hesseltine, Nathan Scobel, Anthony Woods, Augustus Irwin, and Justin Wing, all came in second place to finish the tournament. How do you feel about the upcoming season? Do you think it will be more successful than the last?I feel like this season will be a good season as a team, we have a lot of new faces. What do you think the teams strengths are? I think some team strengths is that we have a lot of veteran wrestlers, a lot of kids that knows what they’re doing. What do you think the team’s weaknesses are? Well I think the new faces that we have are gonna have a tough time to learn the skills and moves. Also finding the reason to wrestle. Changing your weight for what’s best for the yourself and the team. What are you looking forward to the most about the upcoming season? I’m really looking forward to winning my second title and winning regionals and states as a team! How does this years team compare to last years? Do you think this will be a big year for Dexter wrestling? I think this year is going to be huge! How many seniors are on the team? We have 8 Seniors on the team. The Wrestling team is coming back from a 16-3 record in dual meets last year, they also have most of the players back from last year. Their key players are Caleb Weeks returning state champion in the 120 weight class, Gage Stone runner up in states last year in the 132 weight class, Justin Wing returning state placer in 126 weight class. Strengths: Returning multiple state placers, continuing to improve, work hard ethic, never quits. Challenges: Staying healthy is going to be a key challenge for the team. The Tigers were at the very competitive All State Championship, which consists of all the wrestlers that placed in both the class A and class B state championship meets. This tournament is also the New England qualifier, where the top 3 finishers get to compete at the New England Championships next week in Providence, Rhode Island. The Tigers had 4 wrestlers compete; sophomores Gage Stone and Justin Wing, junior Caleb Weeks, and senior Tyler Beem. Gage Stone lost both of his two matches. Caleb Weeks and Justin Wing were both one match away from placing. Tyler Beem was the Tigers only top 4 finisher, as he took 4th for the third year in a row, he was one win away from going to New Englands. The Tigers were at Wells for the Maine State Class B State Championships. They only had 6 wrestlers with Donjoon Kim, Isaiah Hesseltine, Gage Stone, Caleb Weeks, and defending state champions Justin Wing and Tyler Beem. The Tigers came in 4th place overall as a team with 4 wrestlers finishing on the podium. Donjoon Kim was one match away from placing and Isaiah Hesseltine did not finish the tournament due to a neck/head injury. The Tigers had 1 in the consolation-finals with Justin Wing taking 4th. The Tigers also had 3 wrestlers in the finals in Gage Stone, Caleb Weeks, and Tyler Beem. Caleb Weeks won his first state championship with a finals win over Bucksport’s Foster Ashmore with a score of 16-14. Gage Stone took second losing to first time state champion RJ Nelson of Foxcroft Academy 6-4. Tyler Beem was the Tigers final wrestler of the day, and he grabbed his second state title in as many years with a 6-4 win over Foxcroft Academy’s Dustin Simmons. The Tigers were at Mt. View today for the Regional Championship, this starts win or go home season. The Tigers had 6 wrestlers that placed and are now moving on to the Maine Class B State Championship that will be held at Wells High School on the 17th of February. 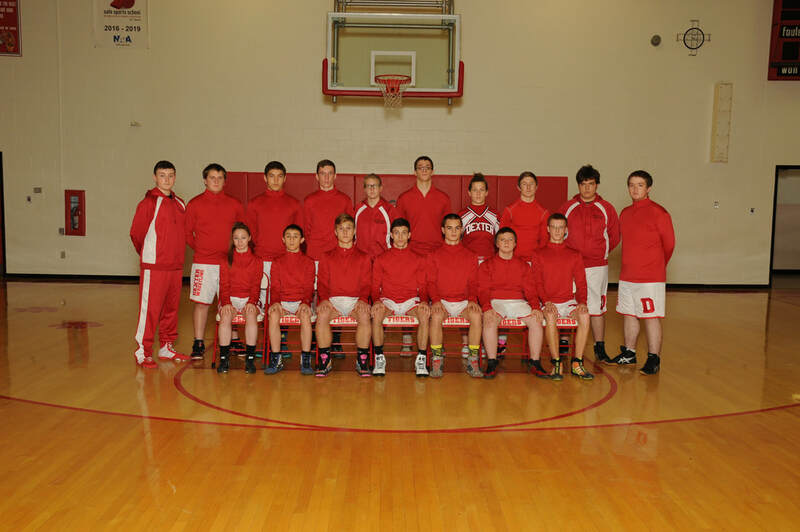 The wrestlers that made it to states were Gage Stone, and Justin Wing who both took 4th, Donjoon Kim took 3rd. The Tigers had 3 in the finals with Caleb Weeks and Tyler Beem coming in 1st and Isaiah Hesseltine taking 2nd. The Tigers as a team took second place, only falling behind the Ponies of Foxcroft Academy by 82.5 points. The Tigers took fourth overall as a team this weekend. The Tigers had 8 wrestlers on the podium, including 5 wrestlers in the finals. Caleb Weeks, and Tyler Beem won their finals matches, Gage Stone, Isaiah Hesseltine, and Augustus Irwin all took second place. Eric Bennett, and Justin Wing both finished the day out in third place. The Tigers were at Guilford tonight, where they went 3 and 1 on the night. Losing another close, tough dual match against Foxcroft Academy. The Tigers were lead by Justin Wing, Agustus Irwin, and Caleb Weeks all going undefeated on the night. The Tigers rallied to 3 large wins over Bucksport(48-27), P.C.H.S(54-6), and PVHS(59-11). They then lost a close match to Foxcroft Academy(42-33). The Ponies got the win from a late minute coaching move, when Foxcroft Academy's head coach Luis Ayala bumped senior Brandon Weston up to wrestle Dexter’s Isaac Webber. The win from Weston sealed the win for the Ponies and their undefeated season. The Tigers finished the dual season with a record of 16-3. At Ellsworth the Tigers had a really good day of wrestling. There was no team score or individual placing, but the Tigers did really well overall. They were lead by senior Tyler Beem, and sophomore's Augustus Irwin, Gage Stone, and Eric Bennett, all going undefeated on the day. Tonight was senior night for the Tigers, and they finished the year off at home with a strong performance, going 3 and 0 on the night. They beat Calais 57 to 18, Bucksport 54 to 18, and Mattanawcook Academy 46 to 24. Seniors Tyler Beem and Dongjun Kim finished their last night at home with 3 wins a piece. Augustus Irwin, Gage Stone, Justin Wing, Caleb Weeks, Anthony Woods, Autumn Irwin, and Isaiah Hesseltine all went undefeated as well. The Tigers were at Foxcroft today where they went 2-1 on the night. They met a really tough Foxcroft Academy team, giving the Tigers their second loss on the year. The Tigers lost 48 to 30, they forfeited the 106, 113, and 120 pound weight classes which cost them 18 points and the match. The Tigers got wins from Caleb Weeks, Justin Wing, Gage Stone, Isaiah Hesseltine, Tyler Beem, and Donjoon Kim. The Tigers then went on to beat Bucksport 51 to 21, and PCHS 63 to 9. ​The Tigers were home tonight wrestling just two teams. The first team they wrestled were the Golden Bucks of Bucksport, beating them 48-30. Dexter’s Justin Wing, Isaiah Heseltine, Dongjoon Kim, and Parker Richardson pinned their opponents. The Tigers then wrestled the Howlers of P.V.H.S. beating them 59-12. The Tigers only had one win coming from Junior Caleb Weeks tech-falling Sophomore Cody Fanning. The Tigers got 9 forfeits in their win over the Howlers, with 9 forfeits before the dual even started the Howlers had no chance in winning. At Lincoln, the Tigers had another good day of wrestling as they went 2-1. The Tigers first wrestled Caribou, receiving pins from Parker Richardson, Eric Bennett, Augustus Irwin, Justin Curtis, Gage Stone, and Isaac Webber, to set the tempo for a 48 to 30 win. The Tigers then had a harder time beating the Lynx of Mattanawcook but finished with a score of 39 to 33. They did it by a big pin from Sophomore Gage Stone, and a huge win from Junior Caleb Weeks beating Travis Musnero 16 to 15. The Tigers then tasted their first defeat of the year losing to a tough Golden Bucks team from Bucksport 47 to 36. The Tigers only lost by 11 even though they were down 2 key wrestlers Tyler Beem and Justin Wing. At the Mt. View Duals the Tigers rolled to a 4-0 start to their year. They started their day wrestling Winslow. The first match between the two teams was Caleb Weeks from Dexter pinning Hunter Deveaux from Winslow. Next, was Devin Vigue from Winslow beating Dexter’s Gage Stone 9 to 7. Then Dexter's Augustus Irwin pinned Winslow's Ely Yang in the first period. Finally, Winslow’s Alex Demers pinned Dexter’s Eric Bennett. The Tigers beat the Raiders 60 to 15. Dexter then wrestled the Huskies of MCI, the Tigers rolled on to a 48 to 23 victory with wins from Sophomores Augustus Irwin and Gage Stone, Junior Isaiah Heseltine, and Senior Dong Joon Kim. Dexter then moved on to a win over the Mustangs of Mt. View beating them by a score of 50 to 29. Junior Caleb Weeks had a quick match pinning his opponent in the first period, Isaiah Hesseltine tech falled “beat the opponent by 15 points” his opponent in the third period, Gage Stone had a big win over Zach Ward beating him 9 to 4. The Tigers finished out the day by beating the Madison Bulldogs 54 to 30. Eric Bennett, Augustus Irwin, and Isaiah Hesseltine all made quick work of their matches pinning their opponents in the first periods.